Sad news came over the weekend, as it was announced that South African born research scientist Dr Maria Strydom had died on the slopes of Mount Everest, just another in the more than 250 who have given their lives to achieve a dream. What caught my attention more than the all-too-often repeated sadness of yet another Everest death was the ascribed reason she was climbing in the first place. Dr Strydom was a vegan. Her husband, Robert Gropel, with her on the expedition, is also a vegan, and both were by their own accounts climbing in an attempt to prove that veganism is a healthy lifestyle and not associated with poor health of any sort, let alone “chronic malnourishment”. It appears that Dr Strydom was unable to reach the summit of Everest, but died at the final camp four, due to high altitude sickness, or exhaustion, or both. She had, according to reports, told fellow climbers of her extreme weakness. Her husband is believed to have suffered high altitude sickness as well. So where does this leave veganism per se as a healthy lifestyle? Had she achieved her goal, vegans undoubtedly all over the world would have used her success as a rallying cry in support of their choice not to eat animal protein. But she failed. Will vegans now admit to following a lifestyle that contributed to her death on the slopes of Everest? Of course they won’t. Nor need they. I applaud vegans for their moral choice. I prefer not to think of animals dying for my culinary delights, but I like my steak and bacon too much to give them up for a far more challenging diet. The problem with a sad scenario like this is that too many people would have, or will, make too much of an anecdotal success or failure to support or discredit a cause. Few of those who have died on Everest were trying to prove anything other than their own determination to reach the summit. 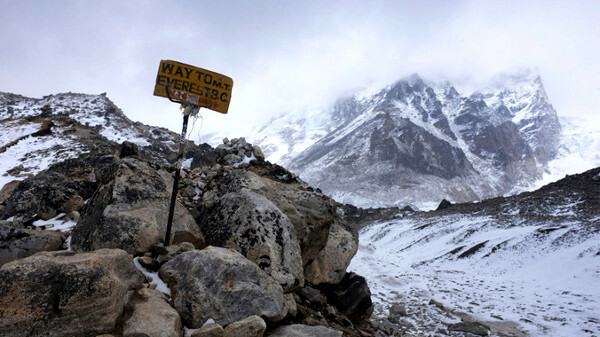 It would take a double blind randomised controlled trial pitting vegans against carnivores racing to the top of Everest to see who does it better to come to any conclusion about veganism being “safe” as a lifestyle without limitations for mountaineers. This will never happen, and especially now. Anecdotal stories to make points like this one do not work. Those who believe they do are naive. Anecdotes say nothing about the wide variations in human ability and determination under the most extreme of circumstances. Anecdotes prove nothing. It would be far better simply to applaud the human spirit that takes some to the highest mountains and the deepest ocean floors, knowing that these things are extremely dangerous, without tacking on to these startling accomplishments proof of any kind except that we humans are remarkable.